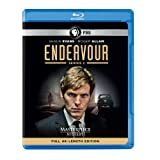 Shaun Evans returns to duty at Oxford City Police as Colin Dexter's cerebral Endeavour Morse, before his signature red Jaguar but with his deductive powers already running in high gear. His partnership with DI Fred Thursday (Roger Allam) now firmly cemented, the two men must band together to crack this fresh quartet of dazzlingly complex cases, shaking the highest pillars of Oxford society as they go. On June 1, 2012 at Flushing's Citi Field, ace Johan Santana threw the first no-hitter in franchise history when he blanked the St. Louis Cardinals and shocked Mets fans on a magical, unforgettable night. Featuring close calls, gutty pitches and terrific defense, this Friday night thriller takes a prominent place as one of the greatest moments in Mets history. Featuring select interviews with some of baseball's most extraordinary legends - insightful, compelling and entertaining personal portraits that can only be delivered by a broadcasting pro like Ed Randall. One of the foremost journalists in the history of baseball, Randall is host of Ed Randall's Talking Baseball on New York's WFAN-AM and on Sirius XM Radio's MLB Home Plate channel and hosted a television version of the show for more than 15 years on what later became FOX Sports Network.